Nearly three years ago, RCTC athlete Micah Jeppesen became a victim of physical abuse by her then boyfriend of one and a half years. Now, she’s motivated to make sure no one else has to go through what she did and can recognize the signs of an abusive relationship before it gets out of control. For the past two years, Jeppesen has teamed up with HOPE Coalition, an organization based out of Red Wing, which serves victims of domestic and sexual violence in Goodhue and Wabasha counties. “They worked with me after my situation,” Jeppesen said, which involved months of verbal and emotional abuse until things escalated to physical violence in the last six months of the relationship. “There was a lot of signs that I look at now that I didn’t notice then,” she said. But when her ex-boyfriend assaulted her one evening on their drive home, hitting her, pulling out chunks of hair, and even chasing her when she tried to escape, Jeppesen knew it was time to get out. Through HOPE Coalition, she has that opportunity. The video, titled “Standing Strong Against Teen Dating Violence,” documents Jeppesen’s experience and can be found on HOPE Coalition’s YouTube channel. In addition, HOPE Coalition gave Jeppesen the opportunity to visit schools, including her own high school in Cannon Falls where she talks about her experiences with abuse. While speaking about abuse has become a big part of her life, Jeppesen also has academic and athletic ambitions. She’s currently working to get accepted to RCTC’s Surgical Tech program and played for the women’s soccer team last fall. 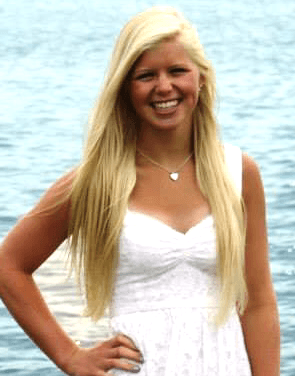 Always an athletic person, Jeppesen was in softball, track and dance during high school in Cannon Falls, adding soccer and cheerleading in her junior year. She felt nervous signing up to play soccer at RCTC after only two years of experience but was glad she did. 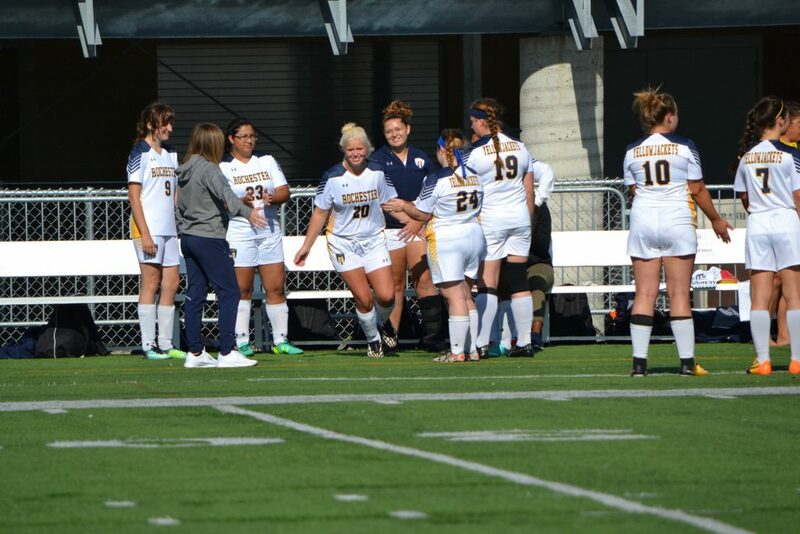 Micah Jeppesen celebrates with teammates during a fall 2017 soccer match against the Lake Superior College women’s soccer team. She started as a defense player but later moved to play goalie.